Hello! 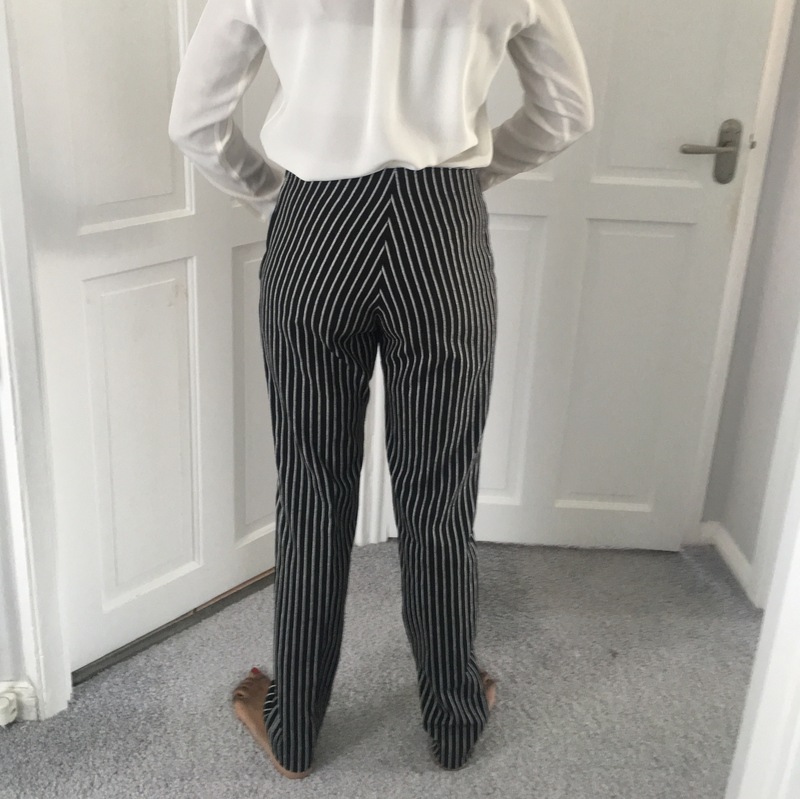 Just a quick summary post here to show you my second pair of trousers! 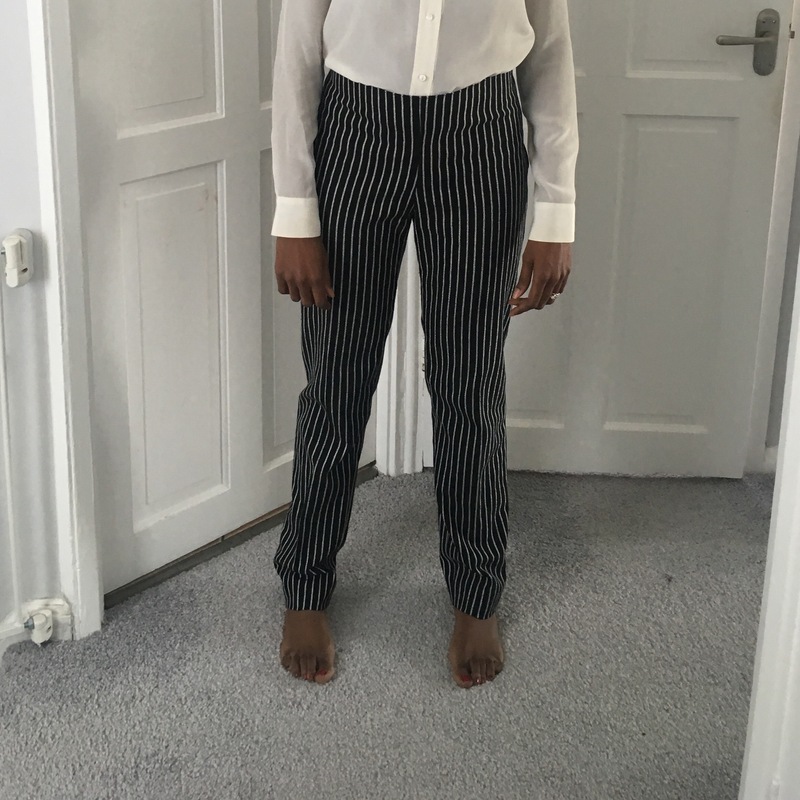 I started off with my modified Clover pattern (more detail on my muslins/fitting process and my first pair here) and went for slightly wider legs which I just traced off a pair of RTW work trousers. As usual this was a really quick sew! The most complicated but with trousers seems to be the fitting, actually putting them together seems to take no time at all, at least for the Clover which has a simple side zip fastening. I’m pleased with the result especially having worn them to work today and felt really comfortable in them. Wow, check out your pattern matching! Lovely job!